A grievance is a complaint about dissatisfaction/unfair treatment. What do you do if you think you have been treated unfairly? Talk to your teacher, counsellor, volunteer tutor or the volunteer tutor coordinator. They may be able to help you solve the problem immediately. If you are not satisfied, talk to the Manager at your site by asking to see him/her at reception OR if you are doing DL, talk to the DL Manager on 1300 AMEP DL. Complaints that are escalated to a manager must be acknowledged in writing. If you are still not satisfied, tell the Manager that you want to talk to the AMEP Manager at Phone: 9938 4621.
by attending one of their offices. NOTE: This agency will not usually investigate a complaint unless raised with the department first. If it is anticipated that the complaint will take more than 60 days to resolve, the client must be advised of the anticipated timeframe, the reason for the delay and be kept up-to-date with the progress of their complaint. We, Diversitat, acknowledge the Traditional Owners of the land, the Wadawurrung people of the Kulin Nation. We pay our respects to the Elders both past and present. We thank the Traditional Owners for custodianship of the land, and celebrate the continuing culture of the Wadawurrung people acknowledging the memory of honourable ancestors. 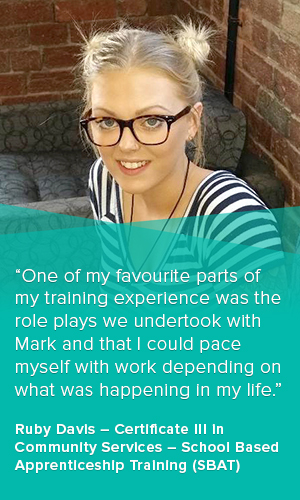 Training is delivered with Victorian and Commonwealth Government funding to eligible individuals. Diversitat adheres to all applicable Laws and Legislation. Individuals with disabilities are encouraged to apply. © 2019 Diversitat Training. Geelong Ethnic Communities Council Inc. trading as Diversitat. TOID 5819 | CRICOS Provider Code 03369J. Fill out the form below and we will be in touch with you as soon as we can. Please note that our office will be closed 21 Dec 2018 at 12pm and will re open at 8:30am 7 Jan 2019. If you wish to apply for a course in 2019 click the “APPLY” button on that courses page and fill out the online application form. We will be in contact with you once our office re opens in January.